I haven't actually been to my library for a couple of weeks now, so no loot for me this week! Actually, that's not technically true because I have been to the library, just not the branch where I have books waiting for me. 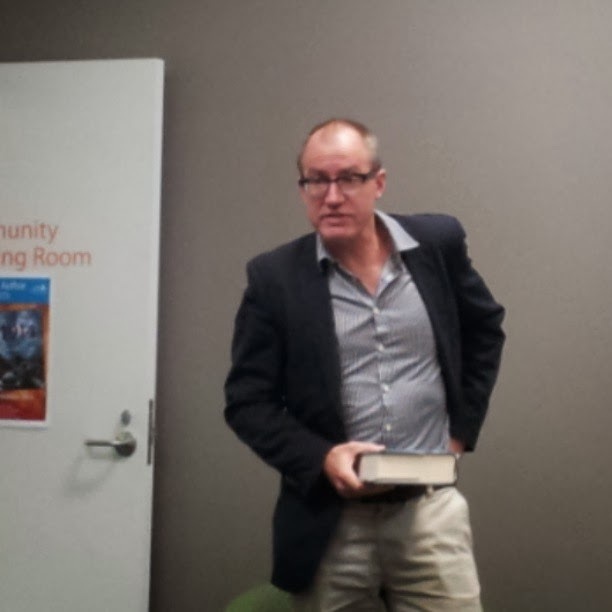 Tonight I went to the main branch to listen to author Paul Ham talk about his book, 1914: The Year the World Ended. Paul Ham is a historian who has written about a number of key events of the 20th century including the Vietnam War, the dropping of the atomic bombs to end WWII and the Kokoda trail. Now, he has turned his attention to the events that came together to cause the beginning of WWI. His talk was very interesting and thought provoking! Does your local library host author events? I've been to a couple of library talks. Sadly most of them are during the work day. I'd like to go to more. A lot of ours are during the day too Linda, otherwise I would go to more too. 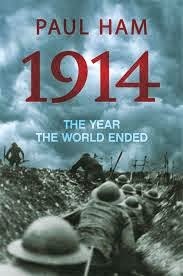 I heard this author on Radio 774 this morning talking about 1914 and it captured my interest. The part I heard (in the car) was about events leading up to WWI and there was a different perspective there that I wasn't aware of. I look forward to reading the book. It was very interesting hearing him talk about that particular aspect!